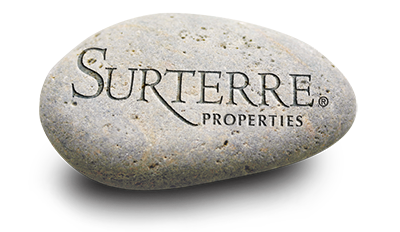 The Sunset Bluffs community is located in the Southwest—Westside section of Costa Mesa. 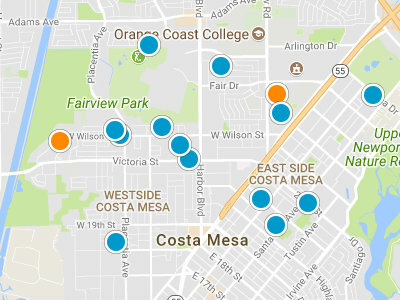 Southwest—Westside Costa Mesa is one of five distinctive sections that make up the whole of Costa Mesa. Southwest—Westside is known for its wonderful parks. The residents of Sunset Bluffs can take advantage of the outdoor spaces at Fairview Park, Victoria Park, Canyon Park and Talbert Regional Nature Park. Talbert is the largest park, with many hiking and walking trails. There is interruptive signage throughout park. There are native plant collections, local wildlife and many picnic areas within Talbert. Like many of the 43 neighborhoods that make up the Southwest—Westside of Costa Mesa, Sunset Bluffs condos have been renovated in recent years. For shopping and dining options, there is the Triangle Square Shopping Center located with the Southwest—Westside and South Coast Plaza located in the South Coast Metro area. Residents are also close to the 55 Freeway and Newport Boulevard.